Yet another undercover drama from TVB. Is it necessary? by the Chai family, which consists of three siblings (after the death of their parents). There is oldest sister Anna Chai Chuen (Michelle Yim) who handles the administrative natters of the clinic. Then there is Anita Chai Sam (Liu On-lai), the second sister and an obstetrician, She has unrealistically high expectations on all people and situations. Lastly is Andy Chai Cheung (Roger Kwok), the third brother and a frivolous pediatrician. The three siblings treat their colleagues just like family. Having worked undercover for many years, Laughing (Michael Tse) manages to escape from any major incidents. When he was undergoing special training (to be a mute) in mainland China 2 years ago, he managed to bust an illegal armed weaponry organization. As a result, he resumes his identity as a police officer in Hong Kong. He becomes the head instructor of the Criminal Intelligence Bureau (CIB), specializing in seeking and training potention recruits for undercover work. Unable to adjust to the stress, Laughing becomes a rouge cop: in order to get his job done faster, he hires gangster Micheal (Bosco Wong) to be his informant. It would appear that the partnership is a good one, but both men have their own agenda and mutually take advantage of each other. Soon Michael betrays Laughing when he feels that Laughing is preventing him from moving up the triad world. Let with no other choice Laughing works alone and applies to be an undercover again. Nowadays whenever I switch on the TV, there will be at least a drama about undercover. All the hype about cops and undercover started off with the movie The Infernal Affairs. No doubt this is a fantastic movie with excellent actors on board. But, is it necessary to come out with all these dramas about undercover, especially when it is no longer the trend? Except for the drama Lives of Omission, the rest of the dramas are simply BORING! Sometimes I wonder how did the scriptwriter can come out with such ridiculous plots and storyline. Moses, for instance, tries so hard to be an undercover cop in the drama Yes Sir, Sorry Sir. Although I respect him as a fine actor, his facial expression and his actions in this drama puts me off. The main purpose of the storyline is simply to break the heart of a girl (Linda Chung) and crack a drug organization. Show me the happy tries the undercover genre but it failed terribly because iIdon't see the whole point of casting an undercover in a show about doctors? Bernice Lau played the undercover who later falls for the doctor and throd brother (Roger Kwok) and opted to drop out of the operation. If Show me the happy and Yes Sir, Sorry Sir are attempting to be funny and portray some lighthearted moments, they have failed terribily. I don't think they are in the slightest way funny. 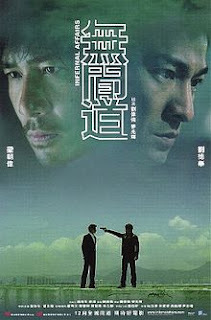 Besides, they are trying to imitate some of the scenes in Infernal affairs, in a comical manner of course. Lives of Omission on the other hand caught my attention. It was a fabulous drama with exciting plots and a twist towards the ending. I can empathize with the character, Laughing Gor (Micheal Tse). The storyline was excellent and the actors did a great job. Especially the exchange between Bosco and Micheal. They delivered their respective roles and made this drama a sucess. The supporting casts Kate Tsui and Fala Chen also did a great job in protraying their characters. If you are a fan of action, this drama is definitely a must watch. A typical cat-and-mouse game involving some car chases. This drama portrays human beings as vulnerable and subjected to emotions when faced with difficult situations. There are times when decision have to be made and face the consequences. Humans are capable of manipulating others and situations just to achieve goals. Hopefully TVB will continue to produce quality dramas. I know viewership is important, but not all the plots and storyline need about undercover cops just because it seems to be the trend (is it really?). We need delightful and refreshing storylines injected with creativity.